NBC 6's Darryl Forges has reaction from the mayor, who spoke with sister station Telemundo 51 and did not hold back with her criticism of the President's actions. Portions of President Donald Trump's visit to Puerto Rico to tour devastation from Hurricane Maria are going viral, like him throwing paper towels to people waiting for supplies and his joke that recovery costs are throwing the federal budget "out of whack." 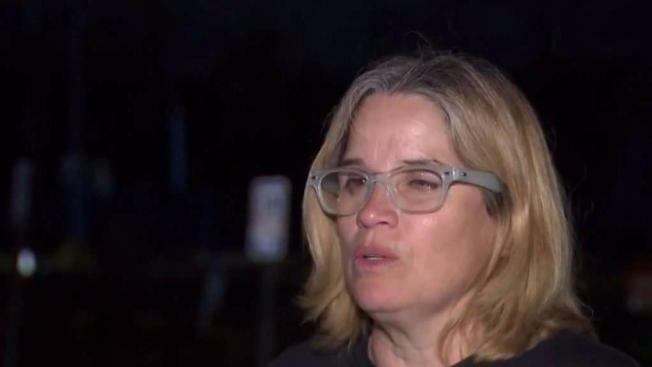 Both of those actions brought a rebuke from San Juan Mayor Carmen Yulin Cruz, who has been the highest-profile critic of the federal response on the island. Still, Cruz said the team around Trump is being responsive to the island's need for help. Cruz joined other officials at an air base for a briefing with the Trump on Tuesday, shaking the president's hand. Trump complimented many officials on the island and the way they handled the aftermath, but left Cruz out. She said afterward she hoped he now understands the gravity of the situation on the stricken island, but his comment implying that Category 4 Hurricane Maria was not on the level of other catastrophic events, like Hurricane Katrina in 2005, and other actions left her unsure if Trump is taking the matter seriously. "His visit was not effective — his team was effective,” Cruz said in an interview with our sister station, Telemundo 51. 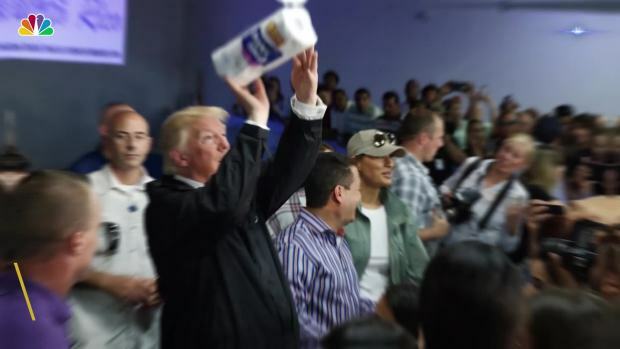 “When he said, 'Puerto Rico, you've thrown out budget out of whack,' and then seeing him throw paper towels at people, frankly it’s unbecoming and disrespectful and it doesn't show what the Americans that are here are doing." She added: "They're doing good work, they're doing everything they can." Thirty-four people have died in Puerto Rico since the storm struck weeks ago, with Gov. Ricardo Rossello saying the hurricane caused $90 billion in damage across the island. Most of the island remains without power and half of people are still without water. While half the island's grocery stores are open, supplies are scarce at many, The Associated Press reported. Trump has said that helping Puerto Rico is a priority but has also said that local officials should be doing more to aid in their recovery. And speaking to Fox News on Tuesday, Trump said, "we're going to work something out" about Puerto Rico's debt. "We have to look at their whole debt structure," he said. "You know, they owe a lot of money to your friends on Wall Street. And we're going to have to wipe that out." But Trump's budget chief Mike Mulveney said Wednesday "we're not going to be offering a bailout for Puerto Rico or for its current bondholders," the AP reported. 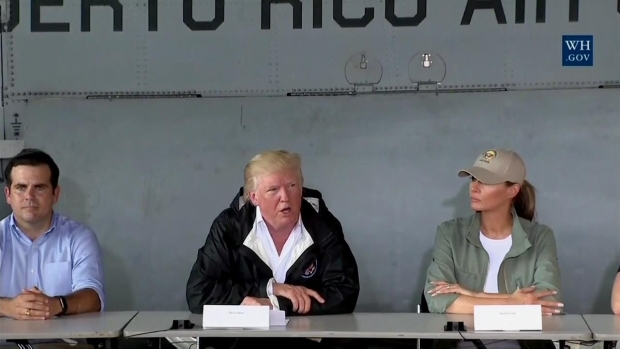 Thirty-two percent of Americans outside of Puerto Rico approve of how Trump is handling disaster relief on the island, while 49 percent disapprove, according to a new poll by the Associated Press-NORC Center for Public Affairs Research.